Au revoir 2017, and before wrapping up the year 2017. 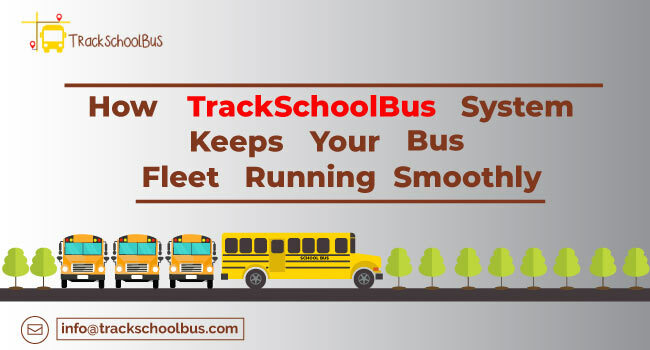 The year was splendid for Trackschoolbus, you will have noticed the blogs, infographics, and variety of images in the site. 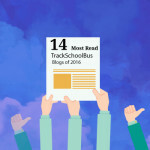 Let’s have a glimpse of the 15 popular Trackschoolbus blogs in the year 2017. The blog as the title suggests narrates the 10 essential road safety rules that can be taught to your children. Of course, you will certainly value your child’s safety above everything. The rules are designed to safeguard your school kids when they are unaccompanied. Hence, you rely on safety rules. Nevertheless, the simplicity in language, and straightforward approach popularized the blog among the audience. On the contrary, when you analyze the blog in a critical perspective, you can view that each rule is followed by the image, and these images evidently reinforce the meaning of each rule. Every country possesses a set of safety rules, which is apt for their infrastructure and road conditions. 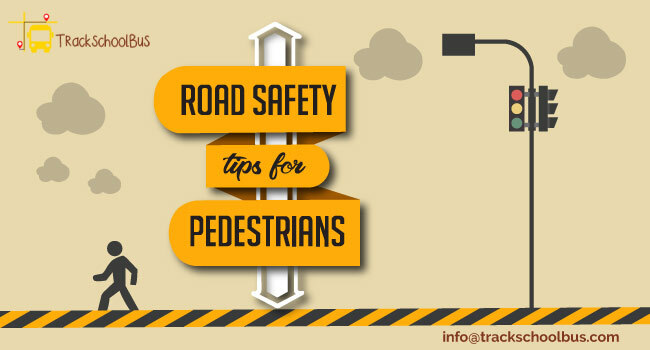 The blog assists you to ascertain an awareness of the 30 essential road safety rules that should be compulsorily followed in India. In this modern world, people prefer the blogs over the documents, internet over newspapers, and smartphones instead of hardbound books. As a result, through our blog, you will be offered an opportunity to obtain the rules that ensure the safety of beloved ones. This can be the reason for the popularity of this blog. When you consider the rising number of vehicles on the road, you will be able to realize the amount of risk hidden on the road transportation. People are searching for the resources that safeguard themselves and their beloved ones from road related accidents, and this blog serves this purpose. Regrettably, kids are the vulnerable ones to road related hazards and it is your responsibility to ensure their safety. The blog lists 9 tips that will enable you to defend accidents and save your valuable lives. 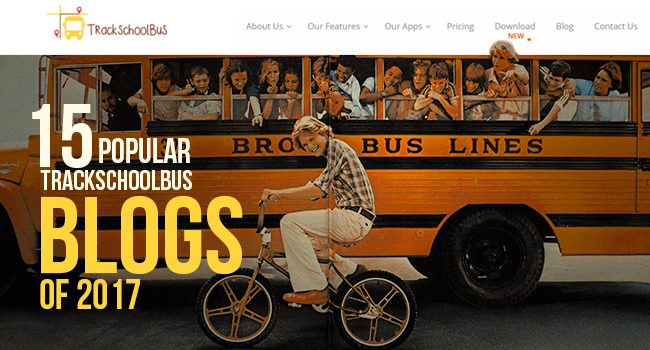 A multitude of issues will be confronted while sending your beloved kid to the school bus. 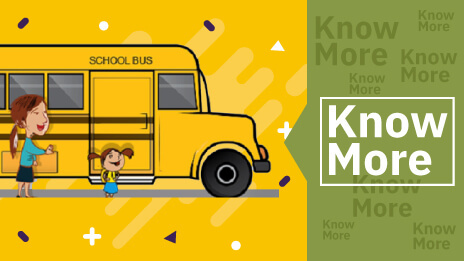 Although, the school bus ride is said to be the safest means of transportation for school kids, issues can also occur unexpectedly. 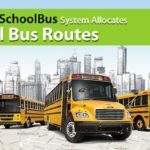 Readers will have found the blog informative as it enlists the dominant issues of school bus rides and solutions to overcome those issues. In this blog, we focus on all the possible issues and the ways to instantly recover it. At the same time, the blog is enlightening, inspiring, and in order to arouse the reader’s interest and enhance their experience, the GIPHY is added. The School bus is still the preferred mode of transportation for school bus students. Apart from school bus manufacturers, nobody is aware of the specification related to school bus dimensions. Having awareness of school bus dimensions is an added advantage. The blog accordingly mentions the various bus types, its measurements, seat capacity, dimensions, etc. Moreover, the blog is enriched with accurate data, and the readers found it reliable and beneficial. On the other hand, those who are searching for the suitable school bus can refer the blog and purchase the right one, according to their preference. Road safety is a relevant issue and in order to ensure safety, authorities constitute safety rules, and conduct safety programs. Indian roads are pathetically constructed and hence safety rules are essential to safeguard citizens. Literally, the blog serves as a complete guide to ensure road safety in India comprising essentials for driving on Indian roads, rules for two-wheelers, rules for four-wheelers, common faults that hinders road safety, the general road safety signals, and reasons for causing road related hazards. School bus safety practices are given prime importance above everything. Safety tips intend to enhance the student safety in the school bus. In this blog, different sections are generated for drivers, children, and parents. Apart from that, the blog render the details on relevant school bus laws. With the rising number of vehicles on the road, the school bus journey became challenging and risky. Therefore, school bus safety tips are the only precaution to overcome the fear, anxiety, and unnecessary tension of elders. The details included in the blog is convincing, specific, and enlightening, which resulted in its popularity among readers. Road accidents are one of the leading reasons for deaths in India. The driver often confronts difficulty in driving vehicles on the dreadful Indian roads, especially during rainy seasons. As a result, ensuring road safety on Indian roads is never a simple task. The blog as the title suggests 5 ways by which India can augment road safety. However, the solutions mentioned in the blog are reasonable, simple, and precise. 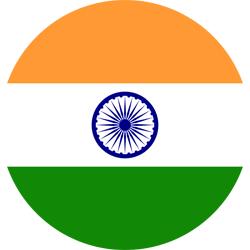 Consequently, readers accepted the blog as solutions are feasible and can be applied to ensure the safety of Indian citizens. A school bus journey can be boring and tiresome for students. Hence, students produce noise, commit bullying, destroy school bus properties, needlessly wander in the school bus, and distract school bus drivers to amuse themselves. In order to prevent these instances, you can involve them in various activities. Meanwhile, organizing games can be an excellent way to engage students. Games refresh the students’ minds, mitigate their boredom, and assist you to reduce the student’s unacceptable behavior on the school bus. 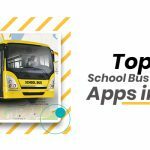 The blog refers 15 interesting school bus games that hold students engaged, without causing a disturbance to drivers. As a consequence, school bus discipline is a concern for school bus transportation. As a matter of fact, discipline inside a school bus affect the credibility and reputation of the school. Henceforth, maintaining a suitable behavior among students will be essential task. In order to establish the school bus discipline issues efficiently, 11 strategies are elaborated in the blog, which provides an immense assistance to school bus transportation officials. 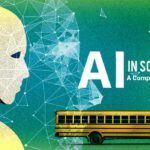 Furthermore, the blog also demonstrates the influence of modern technology in ensuring school bus discipline. School bus drivers have a dominant role in ensuring student safety as the only authority that accompanies students in school bus transportation is the drivers. The driver will serve as a guide to students whenever they cross the road after descending the school bus. In the mean time, a majority of parents forgets the relevance of school bus drivers in ensuring the safety of their kids. Hence, this blog asserts 7 reasons that insist the parents to realize the pertinence of school bus drivers in ensuring student safety. Road safety is an essential concept for all the Indian citizens. There are different range of road users and you need to follow a different set of road safety tips for ensuring their safety. One of the solutions is to provide an awareness to road users, which reduce the rising number of accidents. Apart from that solution, the blog also depicts the vital road safety tips for each road users. The blog is enriched with details, concise, and accurate. For this reason, readers accepted the blog gleefully. School bus drivers have a compelling role in ensuring the safety of school transportation services. At times, school bus drivers have been ignored without recognizing their value. 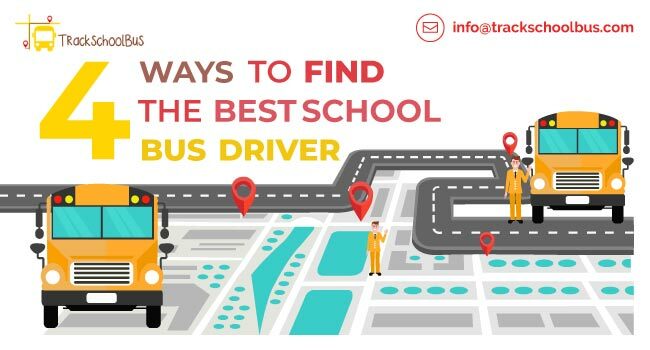 This blog reflects the job description of school bus drivers, skills and responsibility of a driver, responsibility undertaken by schools, and the reason why the drivers are given such a priority. Of course, you will be able to recognize the worth of appointing an exceptional school bus driver and their role in ensuring the student safety. Obsolescence cannot be afforded even though it is a school bus. 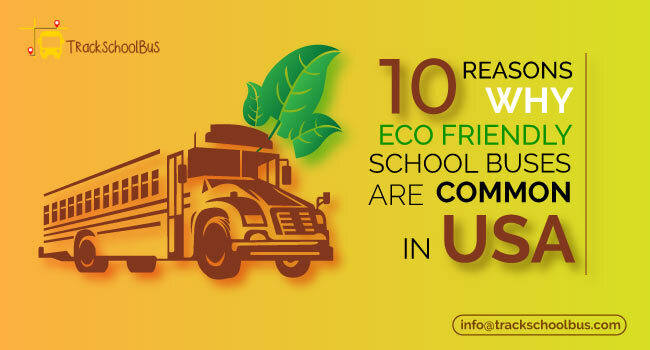 Modern school buses undergone an immense transformation both in design and construction. In addition, you can witness the installation of a multitude of technological devices in the school buses. All these technologies enable you to ensure advanced safety for school bus students. In fact, a majority of reputed schools already implemented GPS school bus tracking systems in order to ensure student safety. In spite of this solution, the blog also comprises other technologies that can be implemented to enhance school bus safety. School bus transportation is the safest mode of transportation for school students. In the meantime, there are certain essential qualities by which you could associate to an “exceptional school transportation system”. 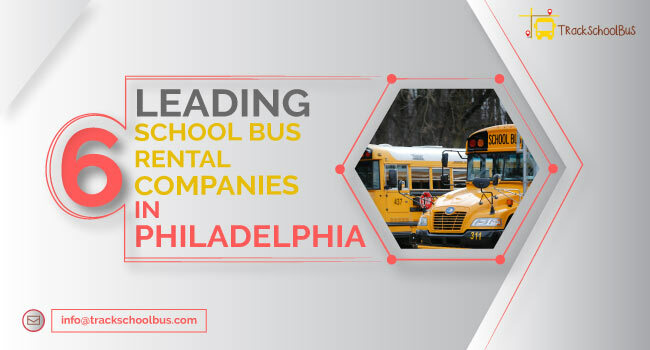 No doubt, you will be familiar with a couple of them, by judging the popularity of the blog, you can recognize the curiosity level of the readers to be aware of the 9 essential qualities in school transportation services.